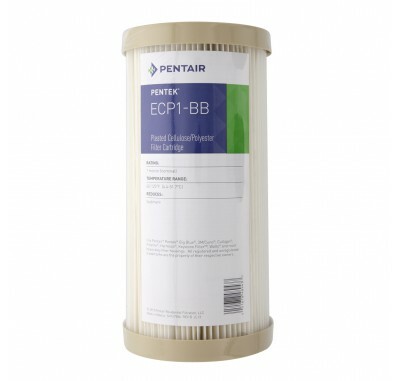 The Pentek ECP1-BB water filter cartridge has a special formulation of resin-impregnated cellulose and polyester fibers. The Pentek ECP1-BB water filters provide higher wet strength than regular cellulose cartridges. The Pentek ECP1-BB water filters also provide high flow rates and dirt-holding capacity, while maintaining extremely low pressure drop. 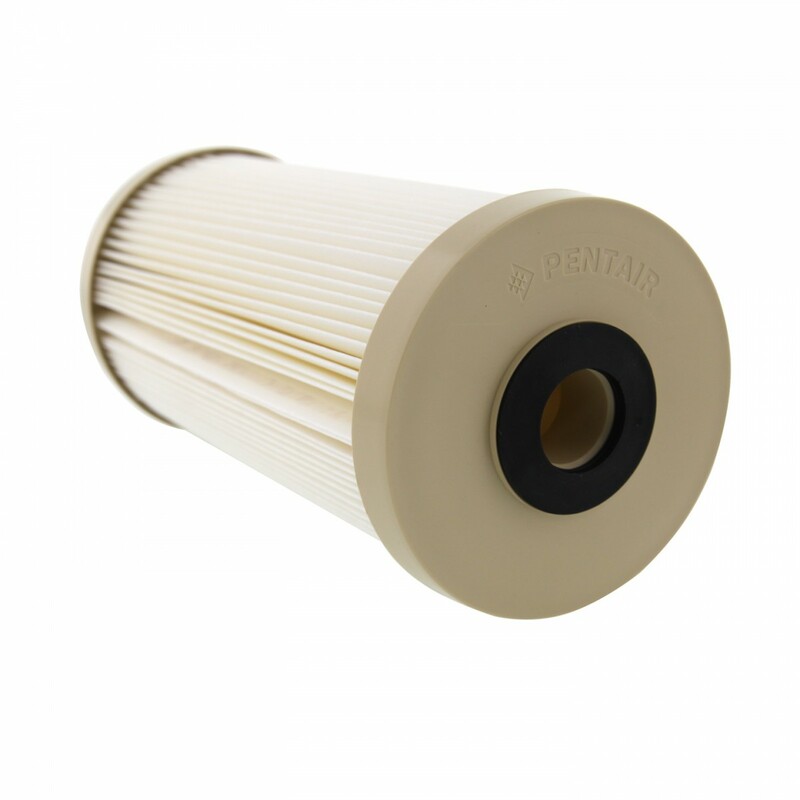 The Pentek ECP1-BB replacement filter cartridge has minimal unloading and media migration. The Pentek ECP1-BB water filter media is pleated around a polypropylene core for added strength and the ends are immersed in a thermosetting vinyl plastisol. Embedding and sealing each end of the pleat block in this fashion fuses the components together, forming a unitized end cap and gasket. The ECP water filter cartridges contain more media surface area than most competitive cartridges. The 10-inch Big Blue ECP cartridges contain 18 square feet of media. 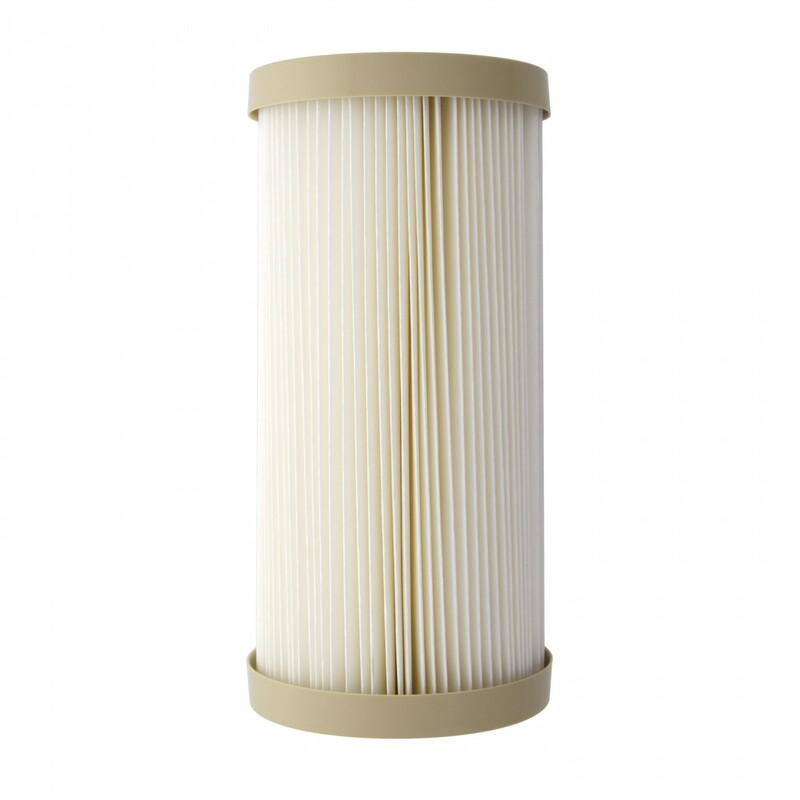 The Pentek ECP1-BB replacement filter cartridge is recommended for chlorinated water supplies. It is not recommended for non-chlorinated water supplies. Cellulose may start to break down if there is bacteria present in well water or other non-chlorinated water supplies. NOTE: Do not use with water that is microbiologically unsafe or of unknown quality without adequate disinfection before or after the system. The Pentek ECP Series cartridges have end caps that are color-coded for micron rating: Tan = 1 micron, White = 5 micron, Blue = 20 micron and Yellow = 50 micron. Nominal 1 micron Pentek ECP1-BB Pleated Cellulose Polyester Water Filter Cartridge. 255489 Pentek ECP1-BB filter fits in housings for 10 inch Big Blue water filters.